Last month Matt Frith released his beautifully animated adventure creation for the #adventurejam with high praise from the gaming community. Playing as Nara in a world of desert landscapes and scrap, your life revolves around the collection of recycled items in the promise of a new life. 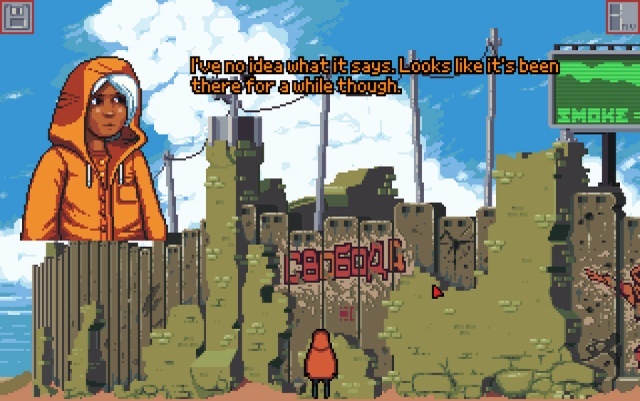 Through years of searching at this side of the wall, will Nara uncover the secrets beyond the wall in Matt Frith's latest adventure of 'Foundations'? Of all the adventure games we've played these last two months, Foundations was a joy to play! Every artistic design from the wall, to the characters and animated chute pushing recycled items is just so well done. I especially felt like I was in an atmospheric world really struggling to cope with day to day life and the hope of a new life beyond the wall. 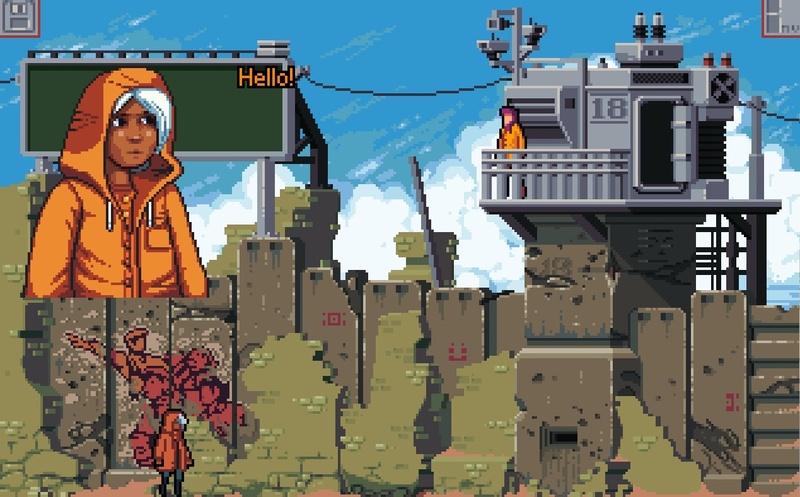 So if you have a spare evening, and really enjoy the adventure genre, give Foundations a go, it's all so lovely.